Just last week we talked about a new film about legendary martial arts master Yip Man called Ip Man: The Final Fight and how popular the Wing Chung teacher has been in film lately. Now we’re seeing all kinds of commercials for another called The Grandmaster presented to U.S. audiences by none other than Martin Scorsese and The Weinstein Company. Directed by acclaimed filmmaker Wong Kar Wai, THE GRANDMASTER is an epic action feature inspired by the life and times of the legendary kung fu master, Ip Man. The story spans the tumultuous Republican era that followed the fall of China’s last dynasty, a time of chaos, division and war that was also the golden age of Chinese martial arts. Filmed in a range of stunning locations that include the snow-swept landscapes of Northeast China and the subtropical South, THE GRANDMASTER features virtuoso performances by some of the greatest stars of contemporary Asian cinema, including Tony Leung and Ziyi Zhang. “Wong Kar Wai has turned martial arts into a modern dance,” Scorsese said of the film which opened the Berlin Film Festival by way of Deadline. To get a brief look at said dance, check out the TV spot followed by a more extended international trailer. That’s not all the Grandmaster-y goodness, though. Yahoo! Movies also showed off a series of new images along with the film’s poster and a Mondo-exclusive one created by artist Vania Zouravliov that’s going on sale the day of the film’s release. 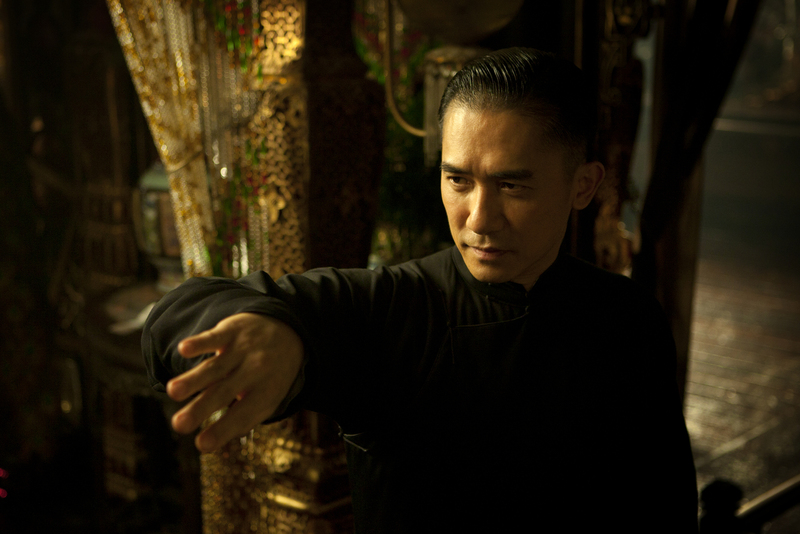 The Grandmaster opens on August 23.